The Archdiocese of Newark will pay out $1.07 million to settle claims by 10 people who charged they were sexually abused as children by nine Catholic priests. The settlement -- in some cases involving allegations decades old -- does not admit guilt or presume innocence on the part of anyone, according to church officials, who said they wanted to avoid protracted litigation as well as promote reconciliation and healing. All court processes are complex and impersonal, and no one would have benefited had these matters proceeded through the courts," Newark Archbishop John J. Myers said in a statement. "Recognizing that the court process would further lengthen the ordeal for all involved and delay any true healing for these men and women, we chose to pursue a settlement." The Newark Archdiocese, the state's largest, serves 1.3 million Catholics in Essex, Union, Hudson and Bergen counties. It marked the first public settlement by the archdiocese since the sexual abuse scandal first rocked the Catholic Church across the country, although earlier this year, the archdiocese reported that it had paid out $2.2 million in settlements, legal fees, counseling for victims, treatments for offenders and contributions to victims and their families since 1950. Diocesan officials would not provide the names of the clergymen involved in the cases just settled. The attorney who represented the plaintiffs, Gregory G. Gianforcaro of Phillipsburg, said no one was declaring victory in the long-fought case. 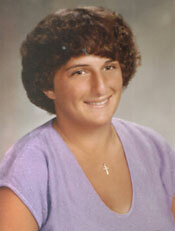 "While it is true that my clients, who were sexually abused as children within the Newark Archdiocese, have settled their respective claims and received compensation for the damages they have sustained, there are no winners here, as these men and this woman will forever live with the scars of having been victims of childhood sexual abuse." Gianforcaro, who is still battling with the Paterson Archdiocese over more than two dozen other sexual abuse cases, said he hoped that others would follow in the footsteps of the Newark Archdiocese. "The Catholic Church's mission is to save souls and to assist those who have been harmed, not to turn their backs or even attack victims of abuse," said the attorney. A woman who brought accusations against three of the priests, Marigrace Labella, was part of the settlement and agreed to be identified. She said yesterday that nothing could undo the harm done to her and other victims. "The settlement process helps prove that when victims find the courage to come forward like I did, even against all odds, they can sometimes find justice," she said, urging others to come forward and seek help. Two of the priests she charged had sexually abused her at a Union County church youth group more than 20 years ago have been permanently removed from ministry, which means they are not permitted to dress or act in any way as priests, according to the diocese. A third priest tied to the same case and the settlement remains in ministry but is no longer with the diocese, a spokesman said. Two years ago, the Union County prosecutor closed an investigation of that priest after finding that the charges against him had no credibility. No longer a member of the Catholic Church, and now living in North Carolina, Labella said the legal battle was a tough road for her. "It's easy to crumble or turn away. You get more wrapped up in litigation than recovery," she remarked. "But I knew if I stood by my truth, truth wins out." Newark diocese spokesman Jim Goodness said of the six other priests charged in the lawsuits, three are no longer in ministry, one is retired, one deceased and one other remains an active priest. None of those who have been removed from ministry have been laicized, or defrocked. Meanwhile, a group of abuse victims, the Survivors Network of those Abused by Priests, said the Newark Archdiocese settlement should only be the first step toward resolving a legacy of abuse and cover-up. "Archbishop Myers has been woefully inadequate in his response to victims and to the atrocities that occurred in the archdiocese," said New Jersey SNAP Chapter Coordinator Kevin Kingree. "His agreement to this settlement is a welcome development, but it requires follow-up with real compassion and Christian outreach." Kingree urged Myers to visit all of the parishes affected by child sexual abuse in the lawsuits to seek other victims and encourage them to report to the police, name the perpetrators and disclose their current locations and release the personnel files. "Despite the poor record of Archbishop Myers on clergy abuse matters, we are prepared to join him in beginning a new era of openness for the church and healing for victims of clergy sexual abuse. Let's use these legal settlements as an opportunity for real outreach to other victims and for real disclosure and openness to being in the church in New Jersey." Copyright 2004 NJ.com. All Rights Reserved.